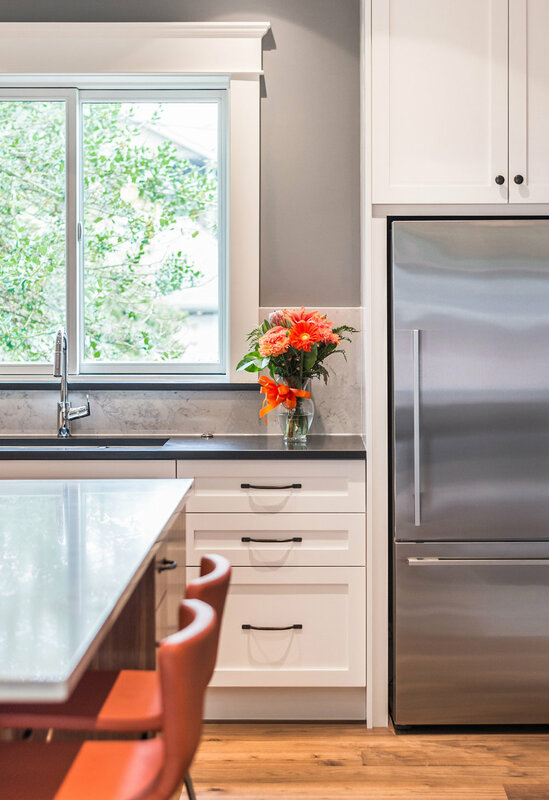 A heritage home renovation project in North Vancouver featuring a full kitchen and bathroom remodel executed by Tandem Construction’s General Contracting, Project Management & Carpentry. 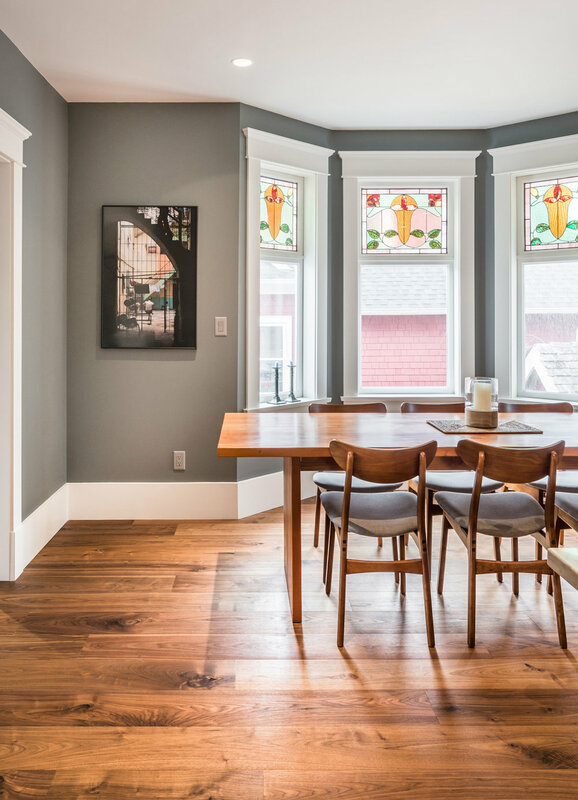 This full home renovation in East Vancouver was such a pleasure to work on. 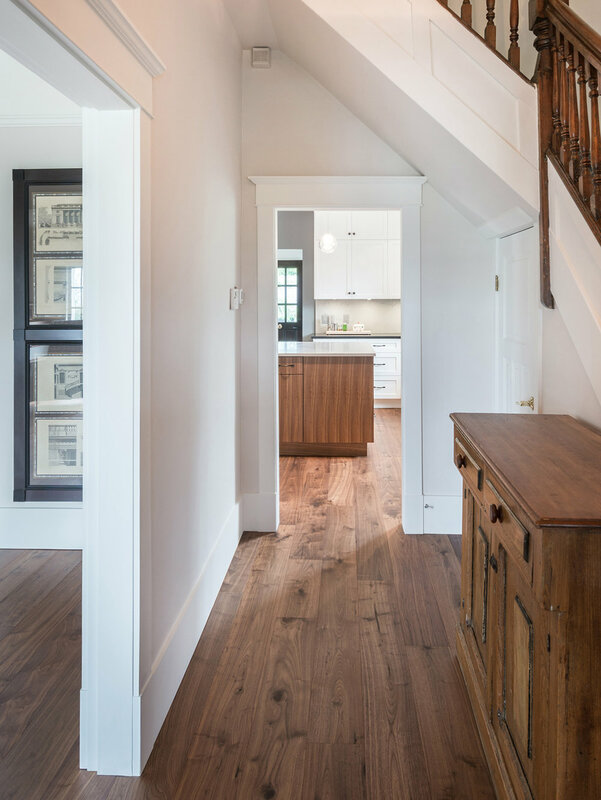 We updated this heritage home, opening up the space in the kitchen by removing the wall separating the kitchen and the living room. We also created a suite downstairs with an additional laundry and kitchen. 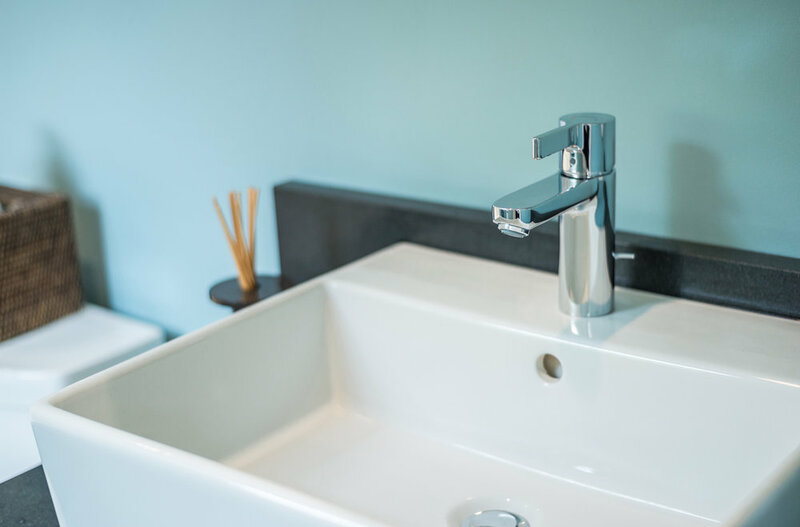 We installed premium features like a wood burning fireplace, heated tile floors, high gloss cabinetry, designer lighting, white oak engineered hardwood and professional appliances. Photography by Calvin Owen Jones.